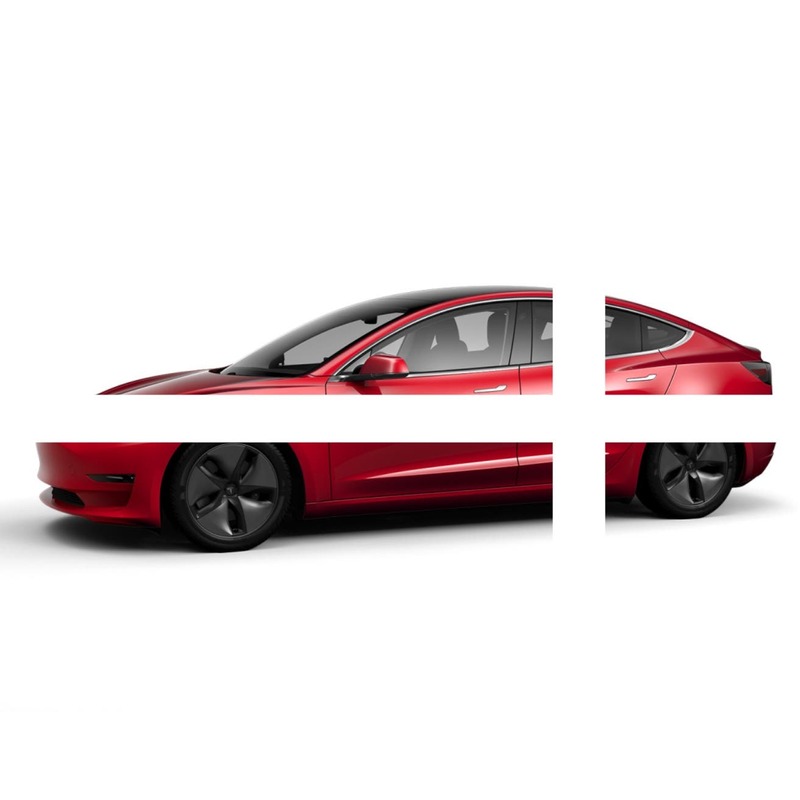 Receiving an email from Tesla on the 21st of December 2018 was the most exhilarating experience since I put down 10,000 DKK ($1,500) for a place in the queue on the 1st of April 2016, but the kick I got turned out to be a kick in the face. 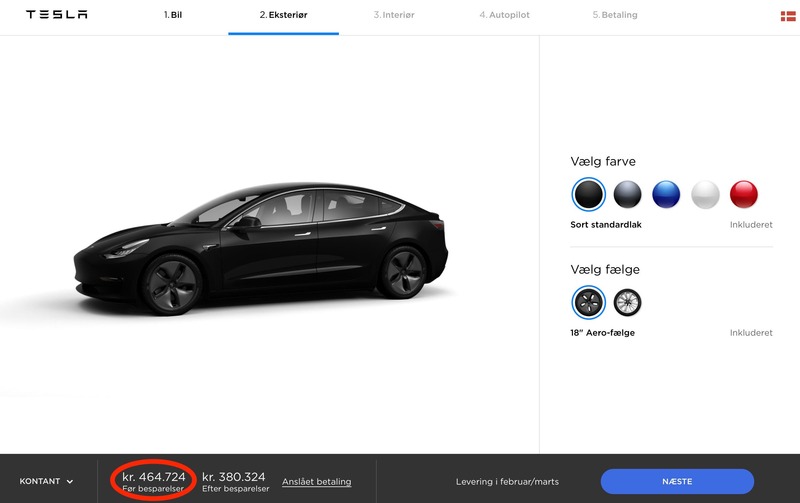 The starting price for a Tesla Model 3 in Denmark is — as far as I can tell — the highest in any market yet, and thus a whole lot more than I had hoped for. Before I show you the numbers, I must admit that I fully understand Tesla’s strategy, because the European market is going to be huge for Tesla with the Model 3 entering the scene. This car is going blow the market to pieces. Right now the Renault Zoe, Nissan Leaf, VW e-Golf, and BMW i3 are quietly struggling to be on top, but that all ends with the Model 3. So, Tesla has to start as slow as it can in order to keep up later. I went to look at the Model 3 first hand at the Tesla dealer here in Aarhus. It was a beautiful red multi-coat Long Range AWD version (I fit perfectly in the driver’s seat I might add). I asked the sales attendant how things were going with the orders just a few hours after the initial batch of emails were out. He could not give me any specifics, but he said his personal opinion was positive. Clever dude. No specific information, but I could tell from his radiant smiling face that lots of Danes where clicking the order button! 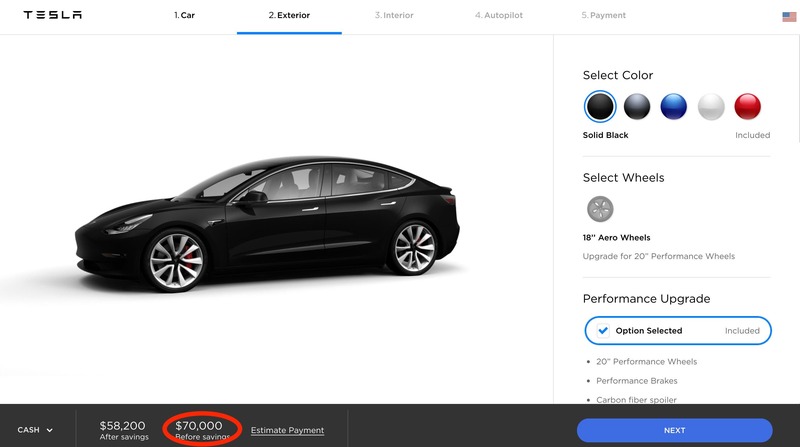 That’s $70,785 for the black Dual Motor Long Range Model 3, which is the cheapest possible Tesla Model 3 without Enhanced Autopilot and before savings in Denmark right now. That’s for delivery in February/March. The price includes 25% VAT and — just to rub salt in the wound — $500 in registration tax. Now, I do not mean to be whining about this too much, because I honestly have trouble finding enough cash for any EV right now, and I do understand the reason for Tesla to only offer the two top models in Europe at first. The demand is so strong for this car on the Old Continent that if Tesla had started with the Mid Range RWD, it would probably not have been able to keep up. This way, the fortunate folks with cash on hand can say, “Heck, let’s go with the AWD version, even though we don’t really need it,” and thus Tesla evens out the logistics. If I could, I certainly would. If Tesla had made an exception for Denmark and reserved a batch of Mid Range RWD for us, everyone else would have been pissed off. By comparison, the same black Dual Motor Long Range Model 3 goes for €55,400 ($63,064) in Germany, which has lower VAT (20%) and I believe a €4,000 ($4,553) incentive.